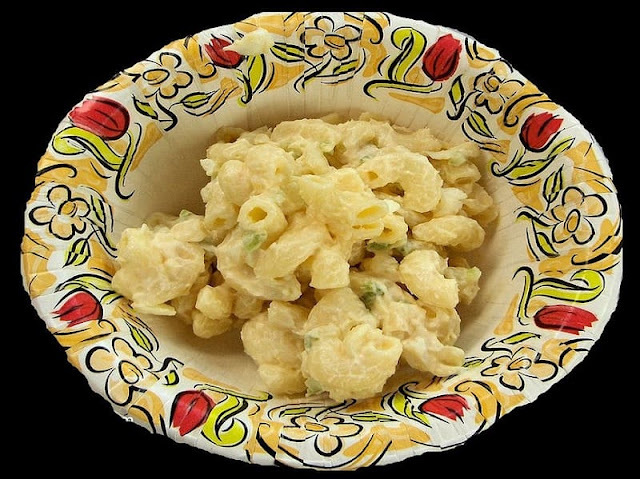 Macaroni salad is a staple for group dinners and barbecues across the country, but it isn't always the healthiest option... until now! Savor the flavor and maximize your muscle with this low fat macaroni salad recipe! Prepare whole grain protein macaroni according to directions and refrigerate. Chop all vegetables and mix together. After the macaroni has cooled completely, mix the veggies in with the macaroni until thoroughly blended. Add fat free Miracle Whip until salad is sufficiently covered to desired effect. Refrigerate for 2 hours before serving.